Drew Stewart is a senior at Holyoke High School and an active participant in the HHS Knowledge Bowl team. 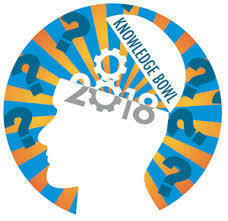 Drew’s favorite part of Knowledge Bowl is the camaraderie, mutual trust and friendship among people who spend a lot of time together. Last Monday, February 5th, Drew and his fellow teammates qualified for state. They placed 2nd, just behind Akron who placed first. The 2nd place finish at regionals resulted in the team qualifying for state. Drew will be going to state on a team with Anna Jelden, Brandon Nevarez, Jarrett Woodhead, Jair Jimenez, Luke Krogmeier, and Tyler Lamm. State will be the first weekend of spring break at CSU Fort Collins. Drew stated he is “super excited” for state. Good Luck!